H&M announced their latest collaboration with Fashion Director, Anna Dello Russo. Anna created an accessories capsule collection. 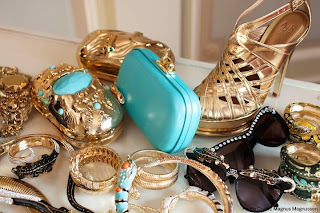 The collection features jewelry, sunglasses, shoes and bags - all for an affordable price. Available from October 4, 2012 at the peak of the global fashion weeks tour, in around 140 stores worldwide and online.